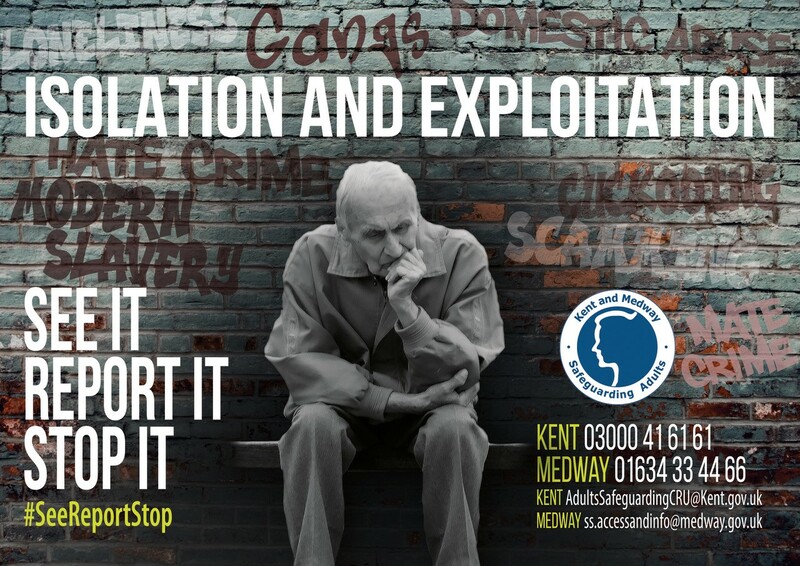 The Kent and Medway Safeguarding Adults Board is supporting Safeguarding Adults Awareness Week, This is an opportunity to raise awareness of how to recognise the different types of adult abuse and what to do if you think someone is being abused or is at risk of being abused. This year, the focus is on isolation and exploitation. As part of Adult Safeguarding Awareness Week 2018, we are raising awareness of isolation and how this can lead to adults becoming more susceptible to exploitation. We would like you to think about a small action you can take as an individual which may make a difference to a person in your community. Please take a moment to make a pledge. There are different kinds of abuse and it can happen anywhere. Abuse occurs when someone exploits another person or treats them in a way that harms or hurts them. It can happen once or on multiple occasions. People who abuse are not always strangers. They can also be partners, relatives, a friend, neighbour or carer. 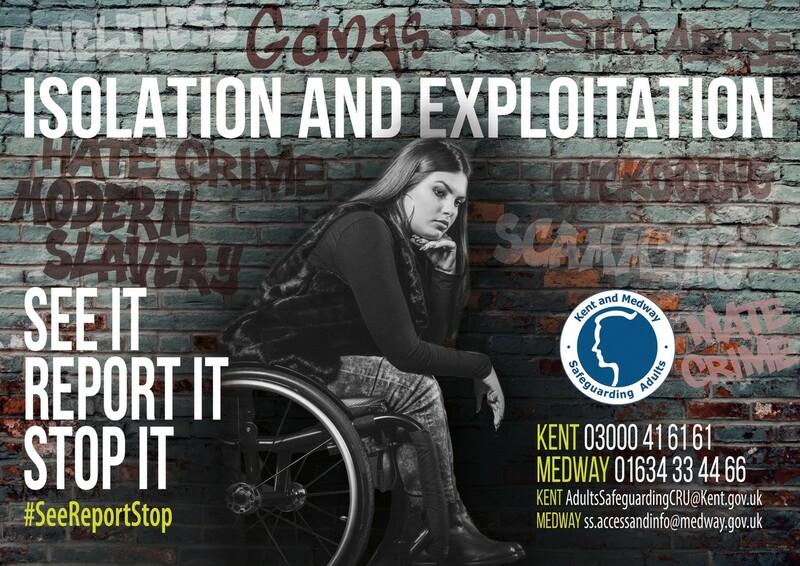 If you're worried about someone in Medway, report to Medway Social Services.